SATER roller doors protect against weather influences, burglary and curious views. 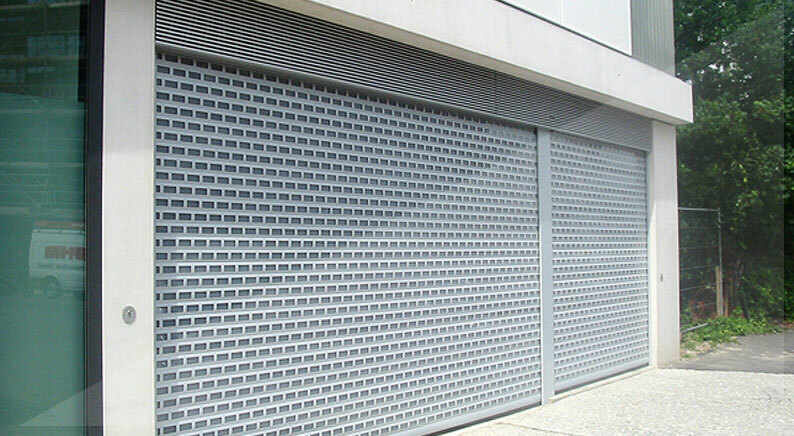 Convince yourself of the perfection in shape and design and bring out the main point with your new roller door. 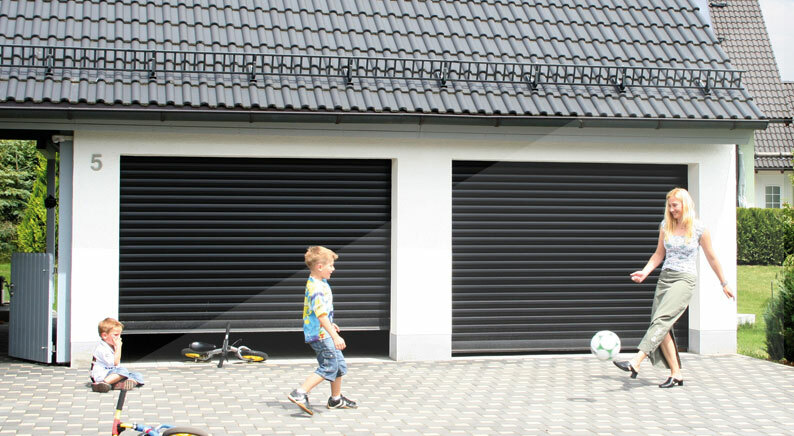 SATER roller doors offer more essential space in and in front of the garage than usual swinging and revolving doors. Park your car in front of the garage and still use the free entrance to your garage. Do you need storage space for your surfboard or ski box? 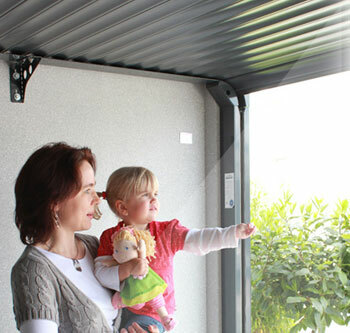 With a roll up door your garage ceiling is free and you can store your holiday equipment until its next use. The low lintel solution of SATER roof line doors offers maximum clearance height giving you maximum headroom clearance. 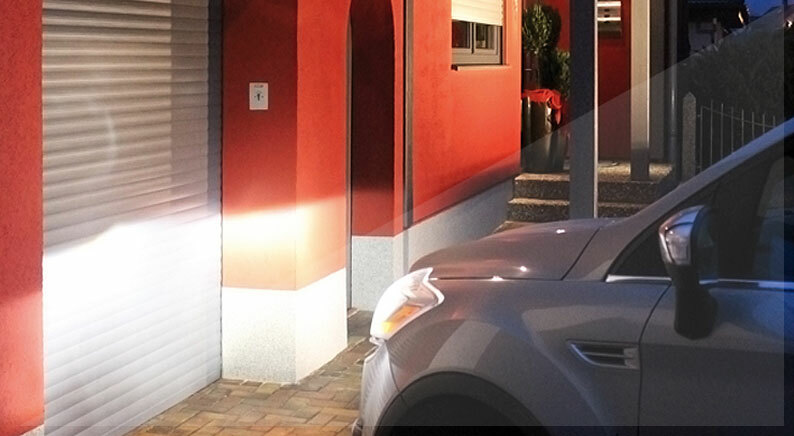 The roof line door can be equipped with electrical drive for more operation comfort. Even when it rains you don't have to leave the car to open your garage door. 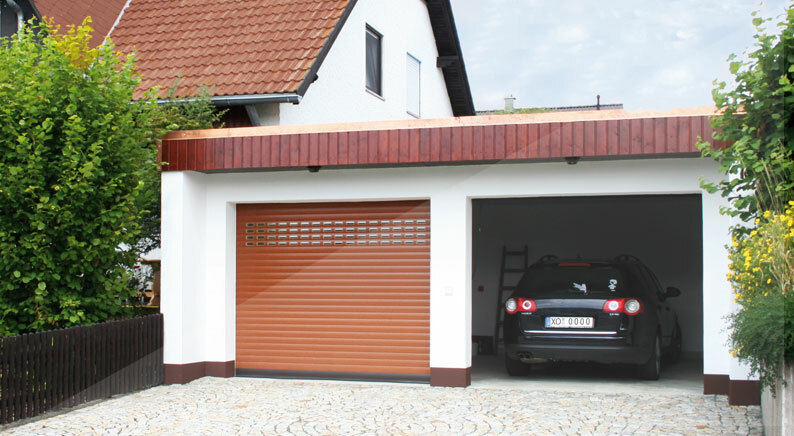 SATER roof line doors open and close your garage reliable, every day and for many years. The clearance height is almoast not reduced because the door opens along the ceiling and this is ideal for modernisations, due to the small lintel height of 6 cm. The lateral drive is standardly delivered with two hand-held transmitters. Almost silent, the roof line door rolls up-and-down guided on plastic rolls. 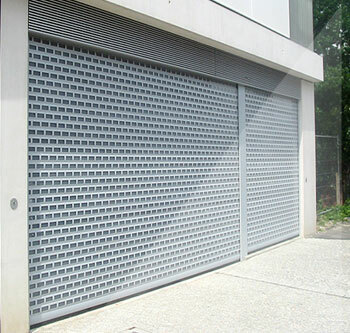 Protect your garage exit, office, storage or us it as a room devider for e.g. in a shopping center. 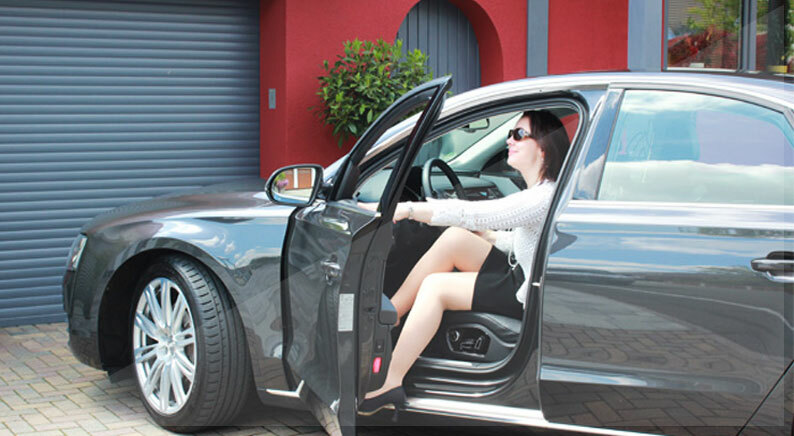 It offers protection with automatic blocking system and safety brake and it enables a good air circulation. 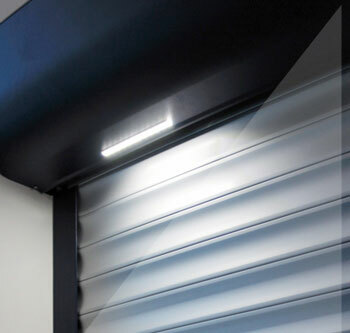 This type of roller doors is easy to clean and low-maintenance, with easy and comfortable operation with radio control or with key-operated push button.